We are a nonprofit social impact organization specializing in neuroscience and education research. 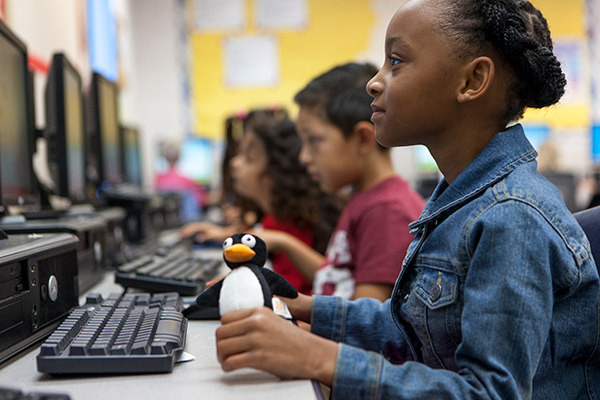 We created ST Math®, a visual instructional program that builds a deep conceptual understanding of math through rigorous learning and creative problem solving. Educators use this program to deeply engage, motivate, and challenge PreK-8 students toward higher achievement. In addition to providing students with a solid foundation in math, MIND Research Institute aims to prepare them to become part of the STEM workforce the future needs. See how organizations and individuals are supporting our mission. "We’re proud to be part of something that is providing large impact and pleased that ST Math is likely to scale much further in the next five years." Help bring ST Math to more students across the country with a donation, or share your passion for learning by volunteering at a MIND event. Join the mission to empower kids around the country. Come work with us! Learn more about the visual instruction program that is changing math education.